Boxon > Blog > E-commerce Packaging > Will the Use Of Environmental Packaging Be Mandatory Soon In China? After all, purchasers are reluctant to shift the current e-commerce packaging to a higher priced packaging even the current one is bad-looking and time-consuming. However the use of more environmental packaging is the trend and it is only a matter of time before they are used commonly. Recently, the State Post Bureau issued an “Opinion” (the full name is a bit long – “The State Post Bureau’s opinion on the implementation of strengthening the ecological environment protection and fighting against pollution resolutely “). The “Opinion” puts forward that the e-commerce packaging should be effective in terms of greenization, downgauging, and recycling in the year of 2020, and indicates specific targets and measures. Specifically, more than 90% of packaging materials should meet the national standards of “Express Packaging” series, and increase the use proportion of environmentally friendly packaging materials significantly, especially the environmental plastic bags and tapes by 2020. Lihu Feng, Director of Market Supervision Department of the State Post Bureau, said that the packaging materials used in the package-delivery industry include seven categories: waybills, envelopes, cartons, plastic bags, woven bags, tapes and cushioning. Taking cartons and plastic bags as examples, the use of cartons accounts for about 50% of the total delivery-packages, and plastic bags account for about 40%. The average usage amount of each package in China is 0.8 meters. Regular tape is not only a kind of non-degradable material, but also causes the problem of separating it from cartons difficultly which increases the recycling cost. Electronic waybills will replace printed paper ones, and the use of materials such as tape and cushioning should be reduced significantly by 2020. The tape for packaging should be reduced by 20%, and more than 80% of e-commerce packages should no longer be repacked. The number of new energy and clean energy vehicles should reach 20,000. In addition, in terms of greenization, downgauging, and recycling, the State Post Bureau will focus on three areas. That is to set more support policies, to lead transformation of the mode of production and to strengthen supervision in development and governance. The specific measures are not listed here, and is available online for anyone who is interested in it. The huge environmental problems caused by massive e-commerce packages have led to social concern from time to time. The government is trying to strengthen supervision and make the packaging more green. Fortunately, Boxon has a series of e-commerce cartons which has been used in the Nordic area for long time and can help you cope with the policy changes. They have a variety of characteristics such as rapid assembly, self-sealing, unpacking by just tearing, cushioning lining and environmentally friendly raw materials certified by FSC, etc. As a result, the amount of the usage of tape is greatly reduced, the excessive use of the internal cushioning is eliminated, the packaging time is saved greatly and the secondary utilization rate of cartons is improved. They have significant advantages compared with the current regular carton packages. The benefits added by using Boxon e-commerce cartons are far beyond the initial increase in purchase costs. So, would you like to choose Boxon e-commerce cartons for its convenience, added value for the brand, and for making a bit contribution to our environment before they are used mandatorily? 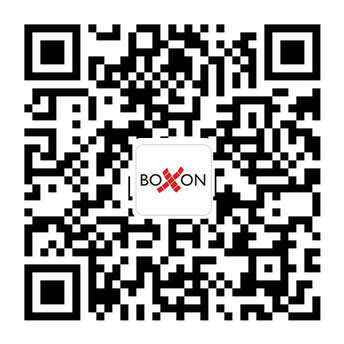 These e-commerce cartons can be purchased easily in Boxon online flagship store (https://boxonchina.1688.com/) now.